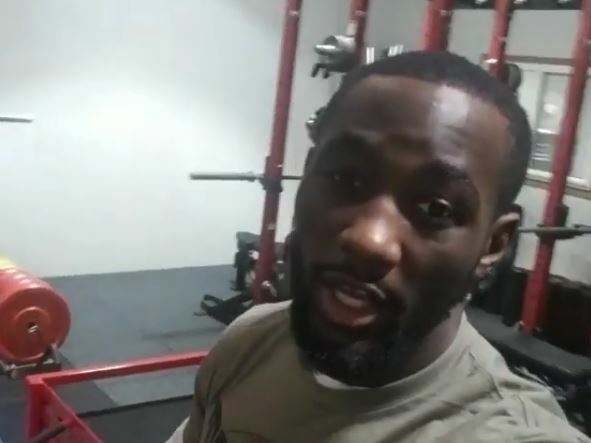 WBO welterweight world champion and pound for pound highly rated Terence Crawford is back in the gym like most professional boxers this week. 2018 was another year to remember for Crawford inside the ring but perhaps outside of it it was even better in that his talents finally got some of the exposure they deserve. Crawford pulled some sizeable numbers for his fights with his promoter Top Rank’s new ESPN deal both on TV and the ESPN+ app. An app which stormed past one million paying subscribers in its first few months of which Crawford got a lot of benefit out of no doubt. The fight everyone wants to see this year is of course a unification with Errol Spence but it doesn’t look likely anytime soon due to boxing politics and the two being on different networks. The problem with matching Crawford against the other welterweight champions at the moment is they are with Al Haymon who is a boxing manager not particularly liked by Crawford’s promoter Bob Arum who has even started calling him ‘Mr. Cancer’ in recent times. Hopefully boxing politics can be put aside otherwise Crawford could find himself frozen out of the welterweight division entirely as the majority of the top fighters at 147lbs are with Haymon. Crawford’s promoter Bob Arum will only alienate his supremely talented fighter Crawford if he cannot make fights with Haymon this year.